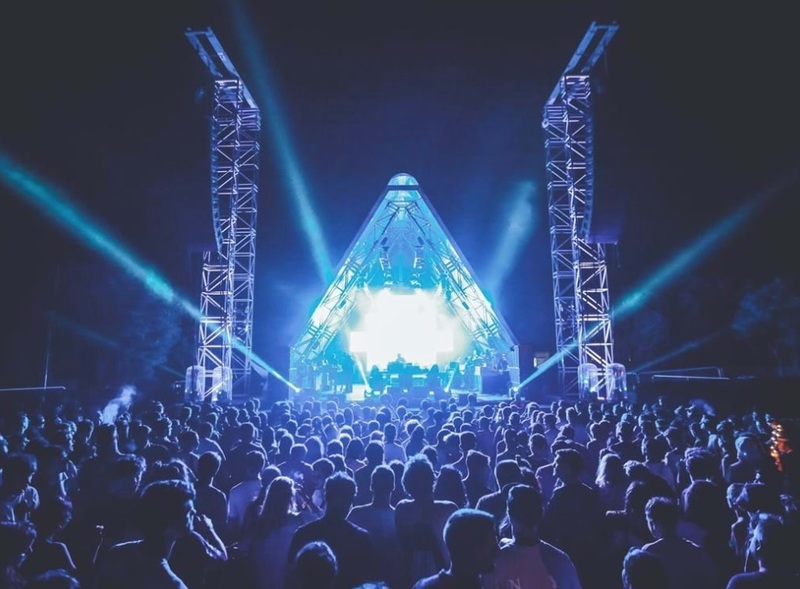 Following our preview of the Dimensions Festival opening concert and boat parties for 2018, we move on to our rundown of the daytime beach stage and nighttime spaces in the Fort Punta Christo. Running From Thursday, August 25th to Sunday, August 28th the seventh edition of the Pula event will centre on the fort where revellers will find the The Clearing, the main stage for the festival with huge stage and encompassing sound, while the other stages are found at the end of a leafy track. 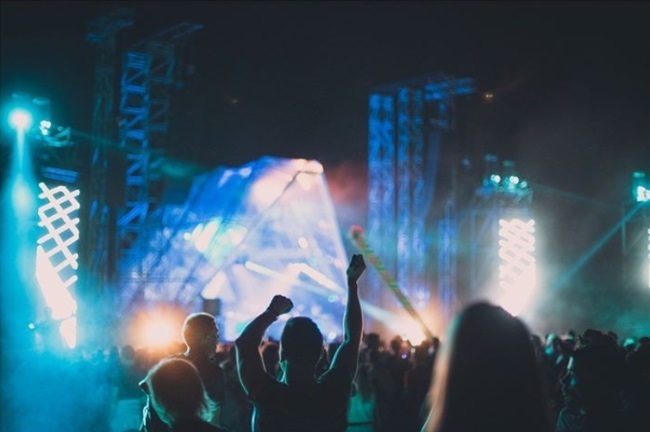 The Garden and the Arija Stage are placed either side of the path as you enter the grounds of the fort, then there are the steps down to The Moat - a 100m long strip with booming bass bouncing off 7m-high walls where some of the hardest techno is heard. The 1,000-capacity Void is home to a custom-made Void soundsystem. The Stables arena is encased by 20ft walls with light shows. The fort itself hosts SubDub where the Leeds outfit will blast out the bass, the Courtyard in the heart of the fort and the tiny Noah’s Ballroom - basically a pit with a soundsystem and the smallest of the stages. Read on to find out more about who’s playing where. The first day of the beach will see multi-instrumentalist Alfa Mist play his blend of jazz, hip-hop and neo soul, sound artist Bambooman draw from his range of sounds to produce a more electronic vibe and Cuban/Iranian four-piece Ariwo focus on the intersection between electronic and ancestral music. 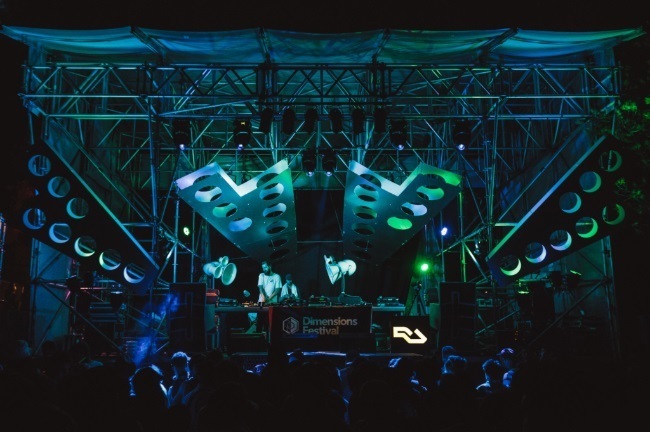 Dimensions Soundsystem will be on hand to spin the tunes behind the three live acts. The first night in the Clearing sees respected techno label Underground Resistance present Depth Charge and there will be further live music from The Comet is Coming. Nina Kraviz plays her first set of the night on the main stage too while City Fly, Petar Dundov and Volvox support. Down in the Moat Kraviz will be joined by Trip’s Bjarki plus Imogen, K-Hand and Volruptus live. Make Me take over the Stables with Josh Cheon, Heinrich Dressel & Teslasonic, Alessandro Adriani and Jon K while Resident Advisor gets control of the Void with Willikens & Ivkovic, DJ Python, Kuniyuki and John Talabot. SubDub welcomes Mala Presents with the DMZ man inviting Simon Scott (Muslimgauze set), The Bug (in dub: DJ set) and DJ Lag to join him dropping the basslines. The Garden sees Dimensions regulars Moodymann and Marcellus Pittman play with Eddy Ramich and Cosmic Slop on the decks and a live set from Amp Fiddler. The first Dimensions & Stamp the Wax presents DJ Directory takeover of the Ballroom will see Champagne Funk, Heels & Souls, Harri Pepper, Debora Ipekel and Syndicator showcase their talents. Love Muscle get run of the Courtyard with Lucy Lockett,- Saoirse, Tom Hannah, Lady Blacktronica and Michael Upson. The Arija stage opens with Kudan x Coe x Triple Point, Mezigue, Maxye, Charles Green and Andrew Hill. Church of Sound, who put jazz, funk and future sounds on in a holy space in Clapton team up with Dalston multi-purpose music space Total Refreshment Centre for the first day of the beach stage. New-wave jazz band Ezra Collective, duo Joe Armon Jones & Maxwell Owin who released collaborative album Idiom last year, British jazz group Sons of Kemet and Eda will take to the stage. At the Clearing there will be collaborations fronMimi & DJ Labud (Ekstrakt), Jan Kinčl & Regis Kattie and Azymuth & Marcos Valle. James Holden & The Animal Spirits will see the producer perform live with his band while Jon Hopkins plays a solo live show and Avalon Emerson gets behind the decks. Dimensions and Stamp the Wax will present DJ Directory at the Stables with SNO, Born Cheating, Sean OD, Aaron L and Will Lister representing. Serious disco vibes will be heard at the Void with J.A.W. on hosting duties; Maurice Fulton, Red Greg, Alexander Nut, Bosco (Red Laser Disco) and the J.A.W. Family will play. Zeezout’s night in the Moat see Helena Hauff, Detroit in Effect, Courtesy, The Exaltics and Daan Donk bringnthe heaviness. SubDub welcomes Sinai Sound, Oak, Darwin and a dub set from Skee Mask. Live performances will come from Upwellings and Bluetrain. The Garden will celebrate 30 years of Rex Club with Peggy Gou, rRoxymore, Ash Lauryn and Gabriella Vergilov. RuDan, Ste Roberts, Nick Williams & Danielle, Pierre and ASOK will play the Ballroom. The Courtyard will see Olanskii, Hamish & Toby, Oyvind Morken and Kancheli entertain. Arija will host Slothboogie, Ian Duffy & Conor Fallon, Reuben & Wallauer, Mind the Gap, ZERØ and Who:Ratio. Wildheart label founder and member of Dimensions DJ Directory Kwasiba Savage, the neo-soul and jazz of Yazmin Lacey and the soul project of Konny Kon and Tyler Daley - Children of Zeus - will ease in the first day of the weekend. Gilla, Darkhouse Family M and the Berlin-based Palms Trax will also play. The Clearing offers up Hunee, Jon K, MXMJOY:[maximumjoy] and Joe Claussell; the Stables will give airings to Kiara Scuro, Conor Thomas, Batu, Skee Mask and audio explorer Lee Gamble. At the Void Electric teams up with CPU with live sets from London Modular Alliance, DMX Krew and Carl Finlow aka Silicon Scally; DJ Stingray, Billy Nasty and Chris CPU will get on the decks. The Moat will be as hard as ever with sets from Paula Temple, Anastasia Kristensen, Umfang, Massimo Mephisto and Dimensions Soundsystem. EXIT RECORDS host SubDub with label boss - DBridge joined by Fixate, Skeptical and Steve Spacek, DBridge plus MCs SP:MC and GQ. The Garden is headed up by Margaret Dygas and Sonja Moonear with support from Ste Roberts, Julio Victoria and Steve O’Sullivan. Head to the Courtyard for Journey of Sound with WLC & Mona Lee, Sue Avenue & Just Nathan, Lefto & Red D and San Soda. The Tuckshop DJs will get support from Tom Bateman at the Arija stage while the Ballroom gets a Croatian Takeover with acts to be confirmed. The final beach throwdown will see Rush Hour-affiliated Hunee, Elgo Records founder Alexander Nut, Italian ambient musician Gigi Masin and the inventive house of Kerem Akdag help ease revellers to the sunset. A live set from Fatima plus Gilla and Poppy Ajudha complete the line-up. The final night at the Clearing belongs to Bonobo who will play right through. Music is My Sanctuary will make the Stables their safe place with Darker Than Wax, Lexis, Open Mike Eagle, Peanut Butter Wolf and Milo. Hessle Audio get their chance to fill the Moat on the last day with regulars Ben UFO, Pangaea and Pearson Sound supported by Ploy and JLIN. The Void will welcome Kamma & Masalo, Ilija Rudman, Palms Trax and Josey Rebelle for its closing party, while SubDub see Dispatch x 1985 curate with Onset, Monty, Halogenix, Alix, Ant TC1, Kid Drama, Amoss -and MCs SP:MC and Fokus. Craig Richards & Nicholas Lutz head up the Garden with Alex T and Leo Leal in support and the Courtyard will be filled with the sounds of Ahz & Annita, Joachim, Alleged Witches, Mark Turner & Yuri. Rounding off the Dimensions & Stamp The Wax presents DJ Directory sessions for he weekend in the Ballroom will be Daisy Moon, Sam Hall, Aaron L, Molinario and Nas 1. The Arija gets a Croatian takeover to finish. 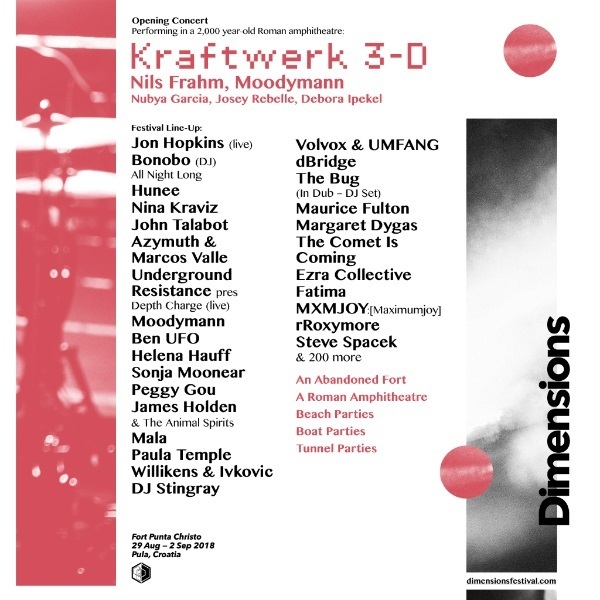 For more information and last-minute tickets head to dimensionsfestival.com.